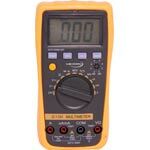 If you are involved in servicing or electronics R&D, theres nothing handier than a top spec multimeter, oscilloscope or function generator. 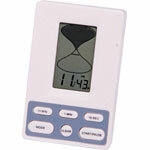 In addition we stock plenty of gadgets for measuring all manner of things, from battery testers to home weather stations. 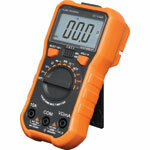 An affordable, versatile meter designed for the electronics enthusiast or handyman. Auto-ranging design makes it easy to use single handed when testing - no need to switch ranges all the time! 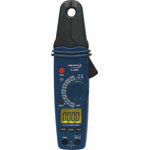 It includes a non-contact voltage detector for identification of live wires. Includes test leads, holster & temperature probe. 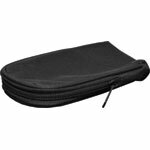 A soft canvas case to suit a range of test equipment. 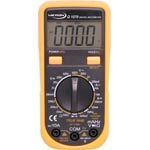 Protect your test equipment investment. 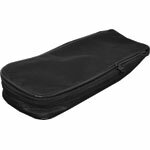 A Soft canvas case to suit a range of test equipment. 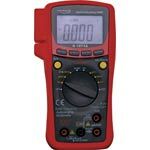 Protect your test equipment investment. Incorporates a carry handle. 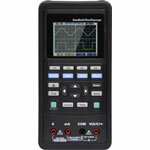 This tester allows the user to test live ethernet cables and determine if power and data are present. It also identifies the type of power sourcing equipment in your network. 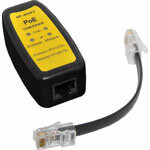 This unit is an easy to use PoE adapter for professionals, businesses and home users to determine the existence of PoE. This rugged & versatile autoranging digital clamp meter quickly and accurately measures the current flowing through an individual conductor. 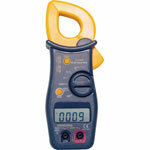 Simply clamp the jaws around the conductor and the display reads the DC or AC current present.